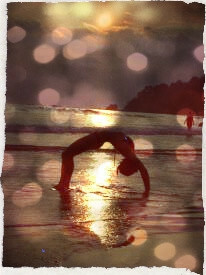 Initially I was drawn to yoga out of necessity. I was working in a high stress job where it was quite normal to be working a 7-day work week. There was not much time left for anything else at the end of the day, so I had arranged for a yoga instructor to come and teach me privately during my lunch breaks 4 times a week. I was very fortunate to have such a knowledgeable instructor for my first introduction to the practice. Although she was certainly more Power focused, she had a great understanding of the gentler styles and was very patient and encouraging with me as a student. I have been certified for 3 years now but have been teaching for 5. With all the one-on-one instruction I received over the years it started to stick. During my personal practice friends and family became interested in learning what Yoga was and would ask me to teach them. I must admit I look back on that time now and I am thankful I had the wits about me to not teach out of my realm of understanding. Again I must credit my first teacher, because she made it a point to make sure I understood the poses and adjustments correctly, ensuring I would not injure myself during my private practice. Who was some of your influential teachers and why? This is such a great question. There are so many teachers out there but when you find the right one something just clicks. I must credit 3 teachers to my yogic evolution. Gord Desautels – located in Calgary, AB. I happened upon his Restorative class on a trip up from Costa Rica to visit family. He opened my eyes to a style of teaching I had never experienced. His knowledge of the body, and his delivery were more than inspiring. I left that first class of his with a strong desire to understand and share his knowledge. It is because of Gord I became a teacher. Sasha Dae – Sasha was the instructor who certified me with her 216 teacher training program. Sasha came into my life through a connection from a friend back in Canada. I knew didn’t want to be certified with a group of other people, I wanted to have private instruction and ideally have someone come live with me in my home. Sasha had recently moved to Costa Rica and as in happens, everything lined up. Not only did she come live with me for 2 weeks, I also went and lived with her for 2 weeks. I wanted to have my hours focused on the gentler styles of Yoga, little did I know Sasha was certified in a style of yoga which now represents most of my teaching, personal practice., and lead me to my Guru. My health. I experienced the effect of occupational stress on the body and mind at a young age. I realized if I have the choice I want to choose to be in control and responsible to my health, not ignore it. Once I made this choice, it was hard not to want to share my knowledge with everyone, so teaching was a natural progression. I created an affordable retreat business. After searching for an outlet to Push Pause on my hectic life, and not finding one that was reasonable, I decided that I would create one. Once I became certified in Yoga I took all my business expertise and create a business that focused on bringing value and premier locations to people around the world. Sanga Retreats was born. Sanga is Sanskrit for gathering, and that is exactly what my business does. We create gatherings for people to come relax, renew, reflect and retreat! Currently we operate in Costa Rica and in Canada. 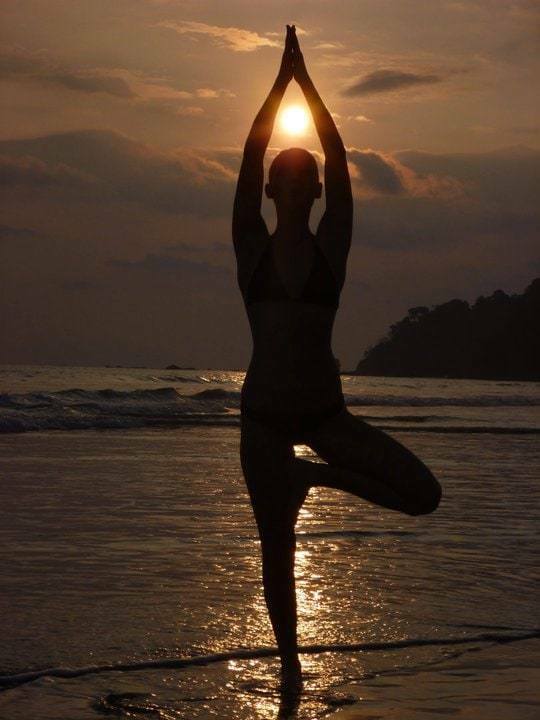 There is always an element of Yoga at each retreat, however we also work with different industry professionals in Health, Fitness, Writing, Artistic Design, Running, and Detox. We try to provide environments that appeal to all interests, keeping the idea of de-stressing as our number 1 goal. Oh and fun, we like to make sure our attendees have a lot of fun!